Editor’s Note: Leading up to the announcement of the 2015 Rider of the Year we are re-releasing pieces of each of the past 14 ROTY articles from the magazine. 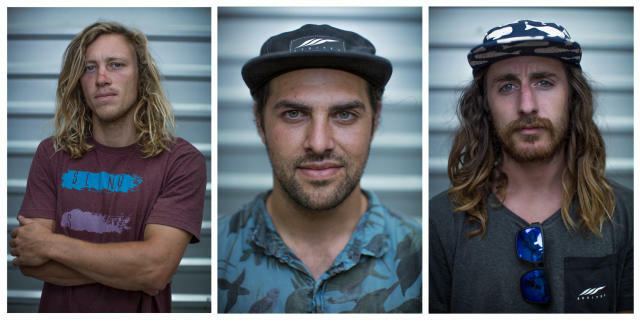 2014 will undoubtedly go down as the Year of Shredtown. The crew, long recognized for their unique approach to wakeboarding and awesome self-made web videos, released Drop the Gun, which went on to win several awards and cement Shredtown’s legacy in the sport forever. Luck has a funny way of defining things, but then again people have a funny way of defining luck. Some will say that there is no such thing as luck, that we are all creators of our own destiny through hard work and intestinal fortitude. Others will say that luck is a part of life, both good and bad. Things happen and it’s how you deal with it that defines who you are. Either way you cut it, lucky or not, having a meaningful impact in whatever it is you choose to do requires work and dedication. 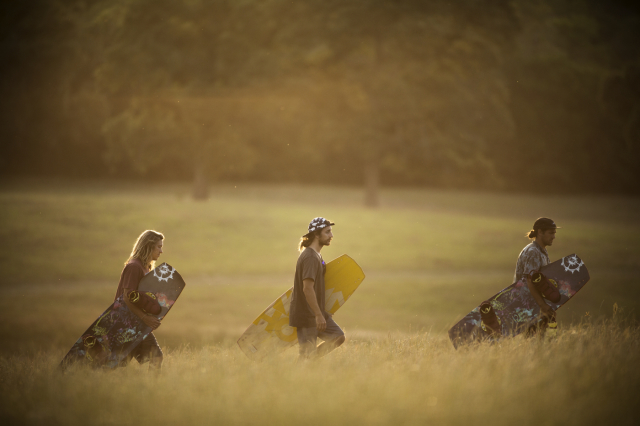 Back in 2009 much of the world was introduced to Chris Abadie, Andrew Adams, and Davis Griffin: collectively known as Shredtown. Their blog and the videos they created for it were catching eyes and turning heads. Fast forward five years and the trio is known throughout the sport as some of the most creative, progressive, and different riders – regularly hitting jaw-dropping winch spots, building creative features in their System 2.0 park, and of course filming it all. With the release of Drop the Gun – the crew’s first full-length video – Shredtown put the sport of wakeboarding on notice: you can be really different with your approach to riding and still be very successful. While some might look at Shredtown and cite luck over skill, they would be wrong; and probably jealous. Luck doesn’t work if you’re not delivering a good product. 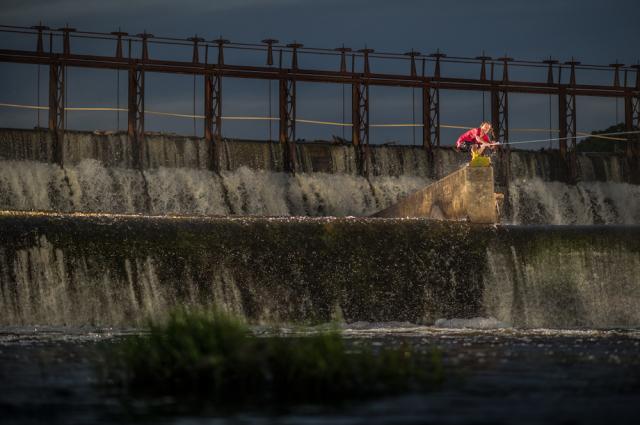 And what Shredtown has delivered with their riding isn’t just good, it’s redefining what it means to ride a wakeboard. There is a reason you don’t see more pros pushing themselves and their riding the way Shredtown do: they either can’t, or more likely they won’t. It takes time, determination, and guts – and many riders view it as too risky or not worth their time. Drop the Gun is evidence of all of that from Chris, Andrew, and Davis. Their full length video will go down as one of the greats because it changes the way people view, think about, and approach wakeboarding. That is one hell of an impact. 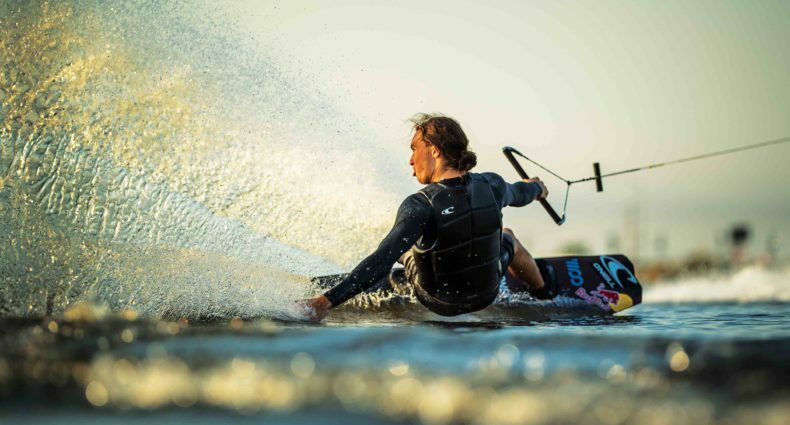 An impact that keeps wakeboarding fresh and moving forward. An impact that is worthy of being named the Alliance Rider of the Year.